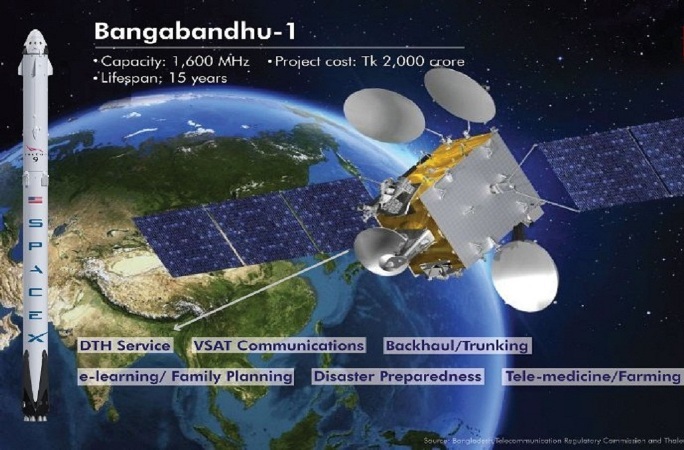 Bangabandhu Satellite-1, the first commercial satellite of the country, started its experimental operation by facilitating Bangladesh Television (BTV) air live the matches of the 12th South Asian Football Federation (SAFF) Championship Cup on Tuesday. Shahjahan Mahmud, Chairman of Bangladesh Communication Satellite Company Limited (BCSCL) said within mid-October the satellite would start commercial operation. SAFF Suzuki Cup 2018 was started in the afternoon at Bangabandhu National Stadium and will run until September 15. The satellite was launched using the latest version of SpaceX’s upgraded Falcon 9 Block 5 rocket, from the historic Kennedy Space Center in Cape Canaveral.